It’s fitting that the last party of the year is usually the biggest. All over the world we gather in restaurants, bars and clubs to count down to midnight and welcome in the new year with those closest to us. 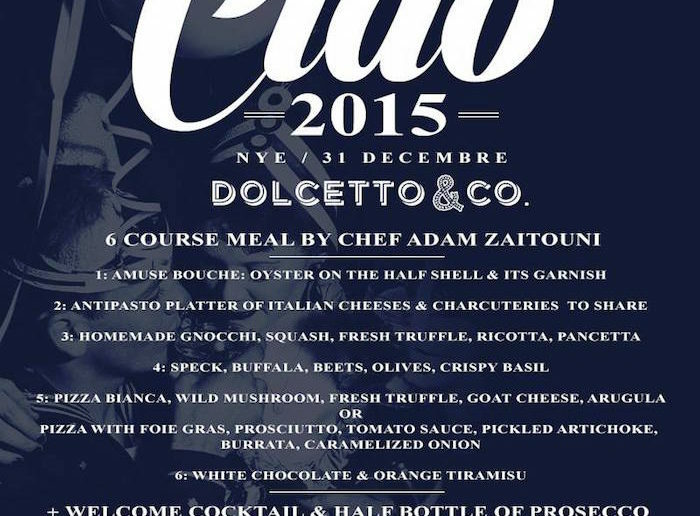 In Montreal we party better than most which means we have a great line up of New Year’s Eve parties to chose from. Here’s 3 choices that sit at the top our list this year. Join the gang at École Privé, one of Saint Laurent’s hottest new clubs (one of the best this year) to count down to midnight at the arrival of 2016. Music will be provided by Hilly and a few special guests and the $25 (!!) 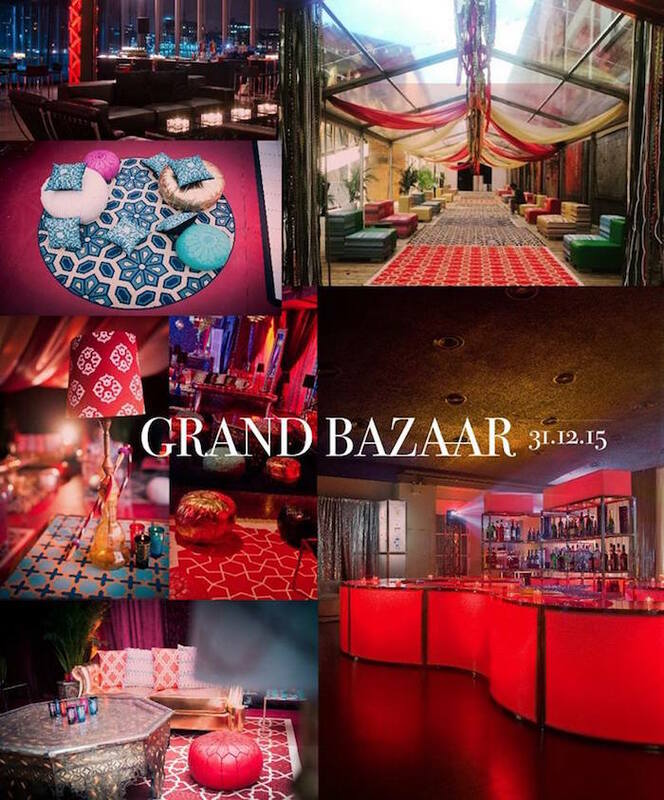 admission includes hors-oeuvres, oysters and a glass of bubbly. Dress code for the night is semi formal and because this is École you can expect a good time. Click the link for more info. 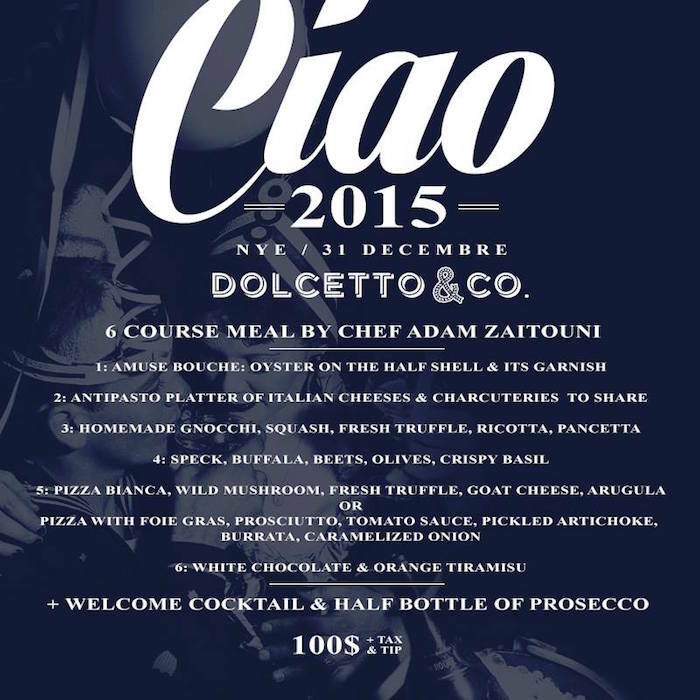 For those of you looking for a relatively quieter option (and please use quiet very, very loosely), Dolcetto is hosting Ciao 2016, a New Years Eve dinner. You can see from the menu provided above that it will be a feast to end all feasts. $100.00 gets you a welcome cocktail, the 5 course meal and half a bottle of Procsseco. Surrounded by beautiful decor in romantic Old Montreal, the setting couldn’t be more perfect for this New Year’s Eve celebration! For more information or to reserve, visit their website here. Have a happy and safe New Year’s Eve!